The hubs and I enjoyed a quiet Thanksgiving dinner with Tracy's family and then I went Black Friday shopping with Tracy and Scott. Wanna know what I had on my B. F. shopping frenzy list? And I still went! Lol. I was very lucky in that I found the few things the boys had asked for prior to the big event, online. Between Best Buy and Amazon, I got everything I was looking for, at the Black Friday price, shipped right to my door throughout the week. It was wonderful! I still enjoyed going and keeping the shopping tradition going though. We had a good laugh at everyone running around like crazy and trying to get these insane deals on big ticket items like TVs and computers. Scott and I picked through discount movie bins and got some incredible deals on blu-rays (Caddyshack for $3.99 and the Lethal Weapon collection for $34.99! Wooooo!) and we enjoyed our normal IHOP late night meal. We normally start our winter break right after Thanksgiving. We aren't officially on break this week, but I am only making the boys do their core curriculum on the days that I am here this week...which is today and Wednesday. Tomorrow and Friday I will be working at the tax office, and Thursday is their last Master's class until after New Year's. Tomorrow and Friday, they are going to play around on the educational game sites we frequent. They like the nature games, and hopefully they will do some math games (although, knowing my boys, I'm not going to hold my breath on that, lol). Okey dokey. Off to do some work then try and conquer Mount Laundry. Hope errbody had a great holiday, and you enjoy your upcoming week! Whoa. How the heck did the holiday season creep up on me? Every year. Ugh. 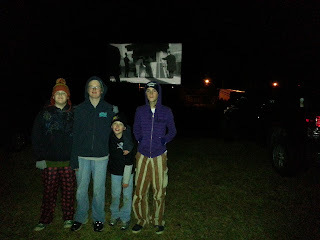 The boys are leaving on Tuesday morning to spend the Thanksgiving week with my parents. My grandmother is also going down, so I imagine it will be a fun week for all of them. The hubs and I will join them all over the weekend, and we will have our big dinner on Saturday evening. Looking forward to it! Since they will not be here, I have to do a little planning ahead of time. Fortunately, their homeschooling curriculum is online and they can access it from either of my parents' computers, or even their iPads (technology is SO nice, lol), so I don't have to worry too much about that. I'm going to use the free word search maker at SpellingCity to make a couple of printable word searches they can work on as well. There are some great Thanksgiving themed word lists on the site that I'm going to use, so it won't be the same old words for them. Anyone doing Black Friday shopping? I am doing a little. Mostly, I'm finding the few things I want to get online ahead of time. So I can relax and spend my time Friday just people watching, lol. Some dear friends and I kinda have an annual tradition. We hang out. We buy movies (yeah, that's my addiction). We laugh at people who appear to have lost their minds. Then we eat IHOP. Even though there is no "big ticket" item that I'm on the hunt for this year, I still plan on going. I guess that puts me squarely in the middle of the crazies, lol. I hope each and every one of you enjoy your Thanksgiving with your family, friends and loved ones. I know I have SO much I'm thankful for, and I truly enjoy this holiday! Last week saw a return to our normal, so I am very thankful for that. We got back on track with work and school, and even had time to visit with my mom each day, since she was up for the week visiting my grandmother. It was a good week. The boys' fine arts program had been running a winter coat drive for the last few weeks, and this past Thursday was the deadline to bring everything in. They had made it a "boys against girls" contest, with whichever gender bringing in the most items winning a prize. The boys won! There were 120 items brought in, with the boys having 65 and the girls having 55. 120 coats/sweatshirts/hoodies/sweaters donated! How freaking awesome, right?! They will be going to a local Kids' Camp here, being given away after a Thanksgiving dinner. If there are any left over, the remaining will go to a local homeless shelter. I am so proud of ALL of the kids and their families that donated! This week, I'm giving the boys a break from their extra spelling that I have them do. That's always our "go-to" when I'm down and out or when we don't have anything else planned, and they've spent a lot of time on VocabularySpellingCity lately. It's ok, they can resume next week. Bailey has been interested in Thomas Jefferson. So, between the homeschool social studies lessons in T4L, and the handy dandy Wikipedia, he's enjoying learning more about him. 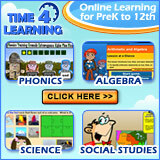 He's also started the online algebra with T4L. No fighting with me about it yet, so...so far, so good. Today, we are going to spend the day all slothed out on the couch. We are catching up on the TV shows Grimm and Once Upon A Time. Both fairy tale related, but both very different. Loving them both! Signing off now, saying a very big THANK YOU to all of our Veterans who have fought for me, my family and this country. I am profoundly grateful for every one of you, and the sacrifices you make. Our men in women in uniform, and their families, are always in my thoughts and prayers! So my week didn't go as planned. AT ALL. I had dental work/oral surgery done on Monday morning. I knew that it would affect my Monday. Probably even my Tuesday. I would have some pain, but I thought by Tuesday afternoon I would at least be able to sit at my computer for a little while. By Wednesday, I stopped with the icky, but I still couldn't really hold my head up. I did start to progress, slowly. By Friday I was able to pay some bills and attempt a load of laundry. Yes, attempt. I started it, but the hubs finished it. Ugh. 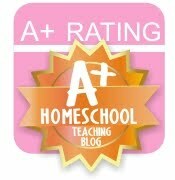 I spent some down time reading some of the homeschool highschool blogs I have found on LHSHS. While I would have liked to have been mobile, and having a normal week, I do have to admit that it was nice to have a reason to spend so much time with my iPad under my nose, lol. I enjoyed being able to take a peek at so many different homeschooling families and how they are handling high school. We still have no idea what curricula we are going to use, and how we want to approach it. But, I am finding SO many resources out there, I don't feel quite as lost as did a few months ago! Hope everyone has a great week. If you made it this far into my whining, thanks for listening, lol. Oh...did you remember to set your clocks back last night? I *loved* my extra hour this morning!